Light exposure is a combination of salt and pepper and a patchy exposure of aggregate that many people find very attractive. It is a combination of very little exposure, almost salt and pepper areas, combined with scattered areas of slightly more and sometimes almost full exposure! If your heart is set on achieving Light exposure, we can not stress enough that it all begins with THE SLAB! The slab must be poured as evenly as possible and have a burnished finish, achieved by multiple passes with the helicopter (powered trowel) by the concreter. 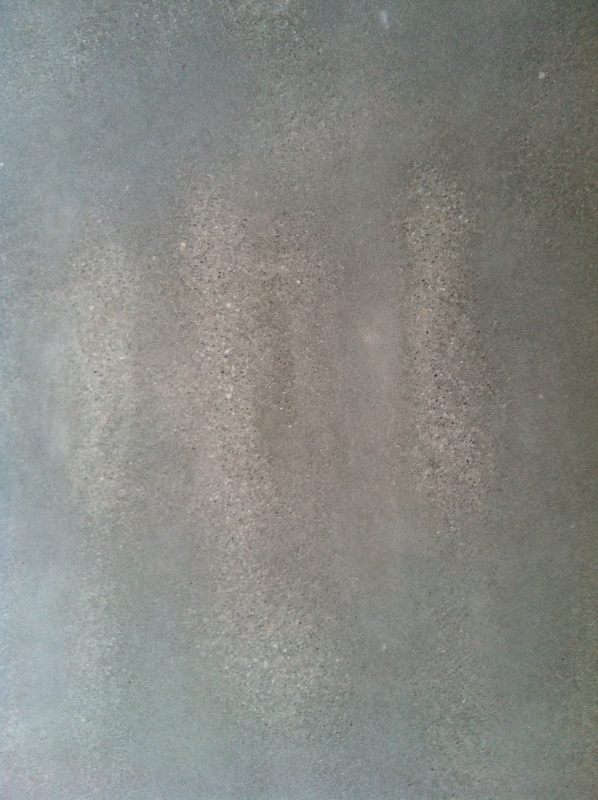 The concreter must also take care to eliminate footprints and screed marks. The beauty of light exposure is that adding to its character such oddities as screed marks might show and its patchy, motley appearance is of great appeal to many people. 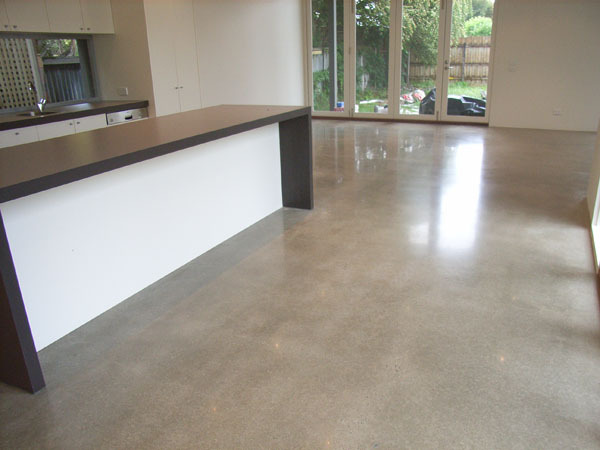 However, footprints, screed marks etc that do remain are pre-existing and the responsibility of the concreter, not Geelong Concrete Grinding.